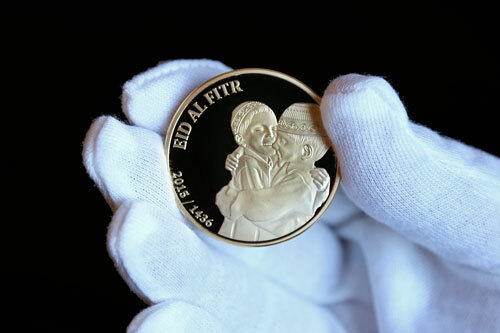 With two children hugging in hapiness, the EID AL FITR 1436 Proof coin captures the very essence of eid. A day eagerly awaited by Muslims every year. A limited edition Proof release commemorating, Masjid Al Aqsa and the Dome of the Rock in Jerusalem. 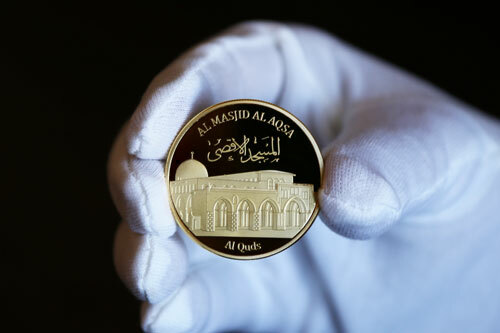 A Proof coin to commemorate the most important pilgrimage a Muslim can make. Each coin comes with a personalized certificate with the name of the Haji. This release is limited to muslims that performed the pilgrammage in 1436. Our coins are minted to perfection and we stand behind them. If you are not completely satisfied with your purchase, return it for a replacement or refund. We will even pay for return shipping. 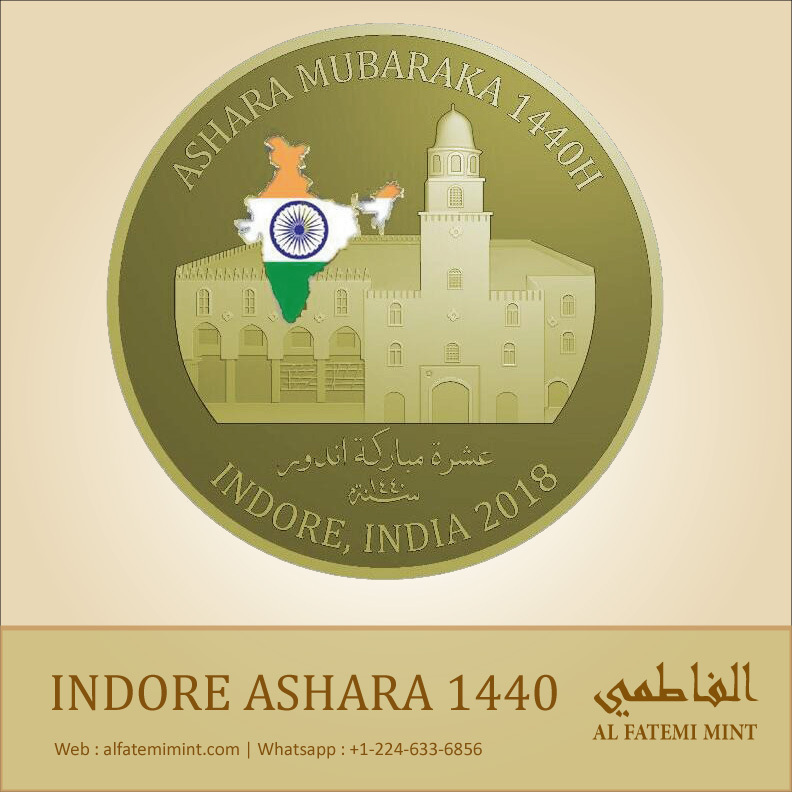 Indore Ashara 1440H coins will be available in Indore on 7th, 8th & 9th of Muharram. Only a total of 300 coins will be available in Indore. Please whatsapp +1-224-633-6856 to reserve and get pickup location. 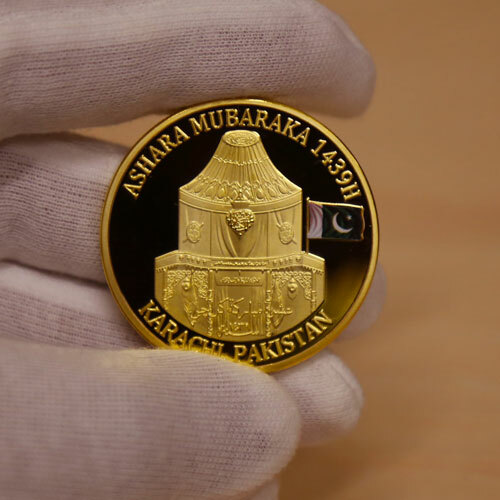 Karachi Ashara Coins are now available for order. All coins will be shipped beginning October 12th. Coins will not be sold in Karachi and coin only be ordered via our website. Free worldwide shipping is included. 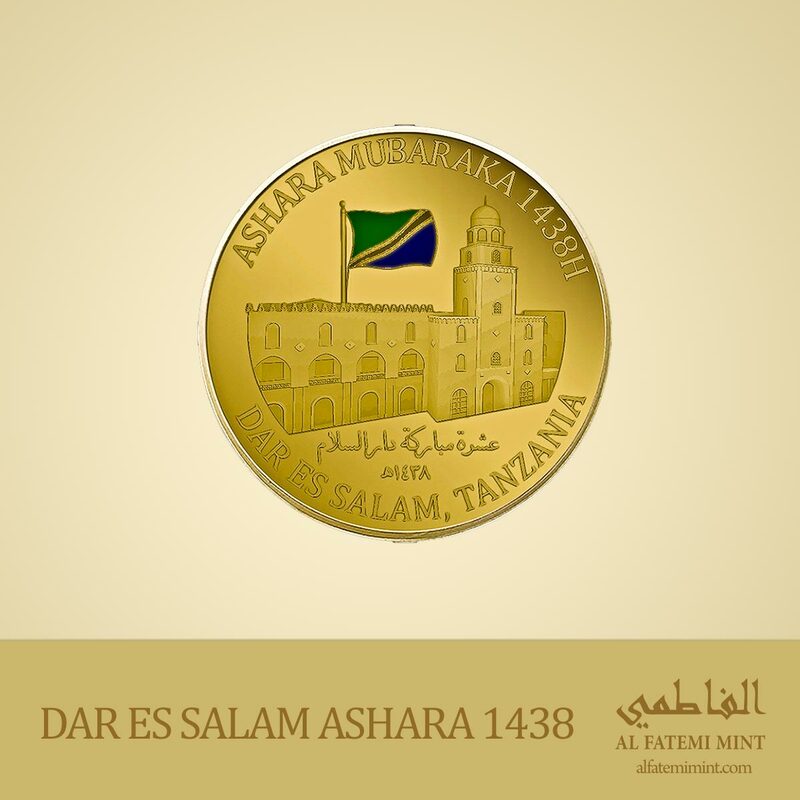 Dar Es Salam Ashara Coins are now available for pre-order. All coins will be shipped beginning October 12th. Coins will not be sold in Dar Es Salam and coin only be ordered via our website. Free worldwide shipping is included. 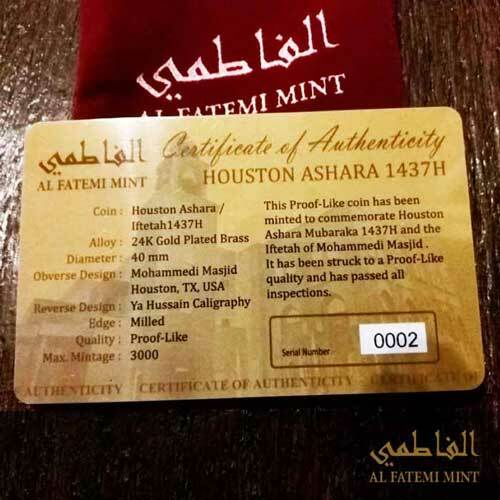 In September 2015, Al Fatemi Mint launched its first Plastic CR80 card certificate with its Houston Ashara Release. After its instant success, Al Fatemi Mint has now decided to standardize on this type of certificate. All future releases will include a CR80 Certificate. Please Call or Whatsapp +12246336856. Umrah release is now available. 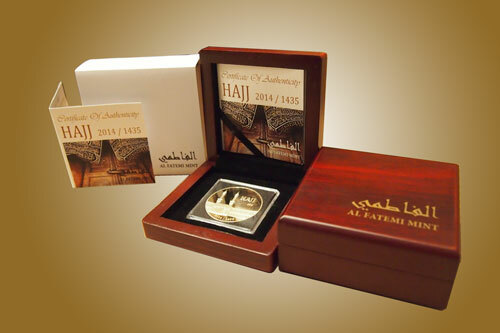 Each coin comes with a personalized certificate with Name of the person returning from Umrah.